Recently there have been some great webcasts on PowerCLI, I wanted to make sure that these were available for everyone to watch. Firstly I will start off with the BrownBag Webcasts, if you don’t attend these I highly recommend you check them out, the BrownBag Webcasts were started by Cody Bunch and are a weekly webcast which goes through various VMware products and technologies in around 1hr (sometimes they run over). Two that I would like to point out are related to PowerCLI. 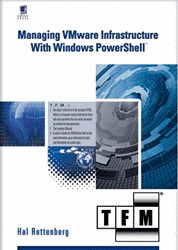 This webcast goes through an introduction to PowerCLI and PowerShell itself showing great resources and learning tips. This webcast was presented by Glenn Sizemore who’s blog can be found here. This webcast was presented by Jake Robinson and Josh Atwell and takes PowerCLI one step further, expanding on the knowledge of the PowerCLI 101 BrownBag to give you some great tips and resources. 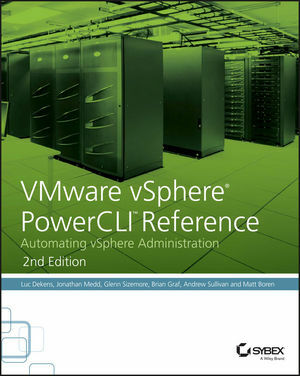 Luc’s first webcast is called “VMware PowerCLI – First Steps” and is well worth watching if your learning or thinking about learning PowerCLI. Luc is also due to present a second webcast on April 25th, this will take your PowerCLI learning one step further to being an automation wizard, to sign up for this and have the chance to ask questions live make sure you follow this link. This entry was posted in Webinars on April 19, 2012 by Alan Renouf.